Current rates are based on calendar days. (We do not rent for partial days) Discounts are available on trips longer than two days. Includes canoe, paddles, life preservers, tents, sleeping bags, cooking and eating gear, rain ponchos, tarps, pack sacks, mattress pads and camp tools. 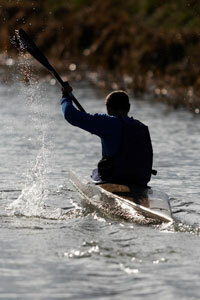 A transportation fee is charged for the delivery and pick-up of canoes and equipment. The fee is a flat fee based on how far and what campsite, or access, regardless of the amount of equipment delivered. We will transport dogs at a charge of $5.00 per dog.